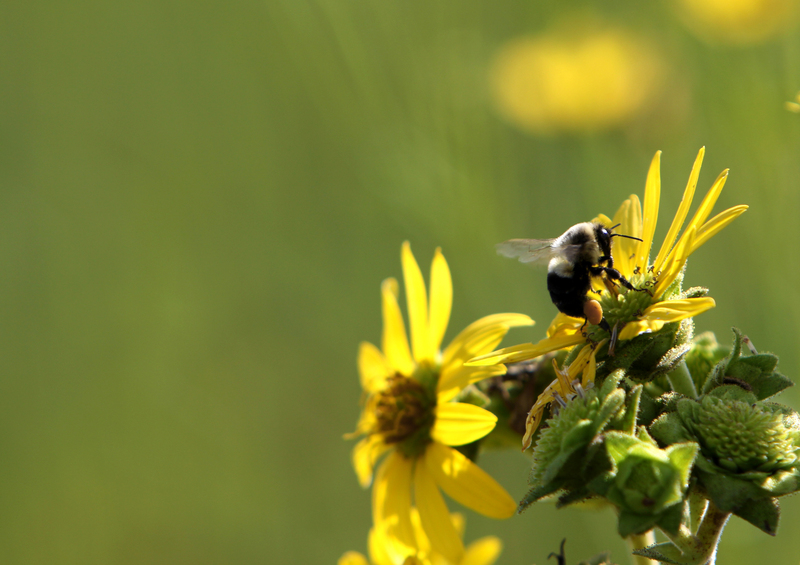 Celebrate National Pollinators Week at a STRIPS field day! When I was a teenager, my mother did something unconventional with the lawn. She took a small area and replanted it with native prairie. I remember really loving that stretch of lawn. It was beautiful, it was unusual, and (perhaps most compelling to a teenager) it made it easier to mow! As an adult, however, I appreciate something else about that small stretch of reclaimed prairie: the pollinators. Pollinators help strengthen crop yields. In the US, pollinators help produce nearly 20 billion dollars with of products. 80% of the world’s flowering plants rely upon pollinators to thrive. The plain fact is that we need our pollinators! But our pollinators are under a lot of pressure. Pesticides, pathogens, and loss of habitat are all reasons that their populations are in decline. I see now that my mother gave them a better chance to survive and even thrive, just by planting a little bit of prairie. It is National Pollinators Week and this week we hope to give our bees, birds, butterflies, and bats a little extra appreciation! 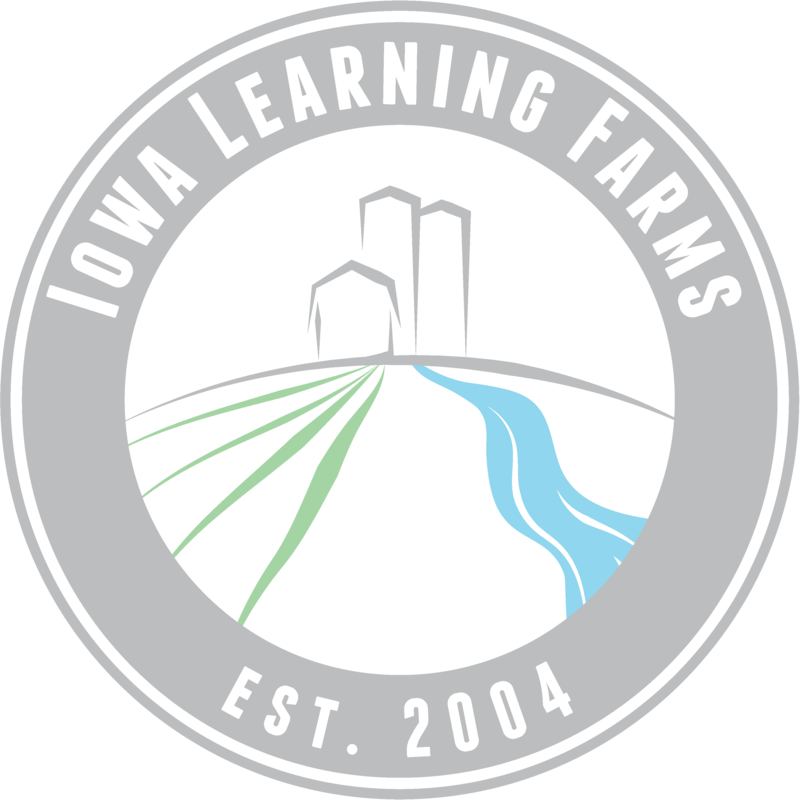 Iowa Learning Farms is hosting several field days talking about the STRIPS project. STRIPS stands for Science-based Trials of Rowcrops Integrated with Prairie Strips, but you might just think of it as similar to what my mother did with our lawn. The STRIPS project strategically plants perennial prairie on 10% of a field. The results include reduced soil erosion and nutrient loss as well as increased habitat for pollinators! This National Pollinators week, we hope to see you at one of the upcoming STRIPS field days! Farmers, landowners, and STRIPS project experts are scheduled to talk and answer questions. Cover crop experts and farmers using them will be on the agenda as well. On the 18th, one of the speakers will be Iowa State University’s Dr. Mary Harris who will talk specifically about the pollinators! Each field day wraps up with a complimentary meal and fellowship. All are free and open to the public. Contact ILF to let us know which field day you are attending and the number of guests, and we’ll be glad to feed you! You can reach us by phone 515-294-8912 or email: ilf@iastate.edu. Visit the STRIPS website for more information.